When you want to download something but this sentence show: 'Your drive is full, please delete some files or buy More Storage Here "?. Meaning it signifies that you no longer has an empty storage space for new files. Here's How to Remove it! Usually this happens because the downloaded files affecting to our storage memory allotments in Google Drive. For examples are FileRocks although we directly downloaded from the site but it turns out that the same amount will counted as the file that we have stored in Google Drive, and the result of our free space rations dwindling rapidly. Make sure first that you are still logged in with email that you use the email for google drive. Do this in the same browser where you open the email. Open the My Drive on the page above, you will see what files are actually stored there. Delete the file folder labeled FileRocks (if you can find it) because that file that always make your drive full in Google Drive. Also Delete the other data that you no longer need that, or download it first to your computer then delete it. Right click - Delete on each file. After you delete those file on the My Drive area, then you need to go to Trash area, when we can delete it permanently. 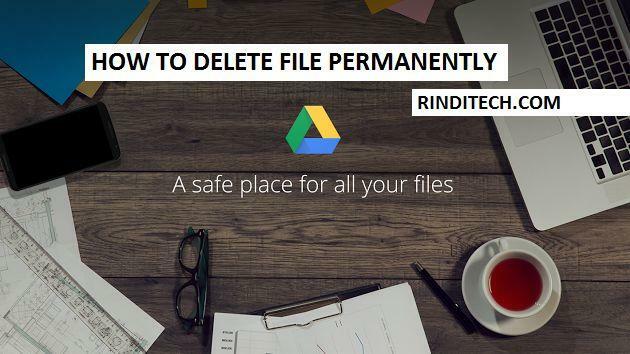 Erase all the files or folders that are on the Trash by right click - Delete for each file that was there. The file will be deleted permanently. After deleting the files that are in the area it is no longer trash files - large files that makes your drive full. Refresh page (ctrl + R) to see the results. If you have not seen the results, wait a while and then do the refresh again. To test whether this tutorial success or not, try to re-open the page that tell you that the storage was already full, when it can be downloaded as usual means removal process succeeded perfectly. Congratulations! You now have a supply storage (storage) were great again without having to upgrade your account or create a new email address.